East Ventures, Indonesia’s most prolific investor, has identified a new theme for its investments in 2019 — new consumption. The venture capital firm’s managing partner Willson Cuaca said that there are ample opportunities available over and above the innovation that has already taken place in Indonesia in terms of digital infrastructure, payments, delivery, outreach, and customer efficiency optimisation. “You can put a lot of stuff on top of it. We launched a coffee company based on the online model in China. It’s called Fore. We started less than six months ago. As of today, we are present in top app stores. We are in there in all major shopping marts, do a lot of delivery, and we are testing our hypothesis. 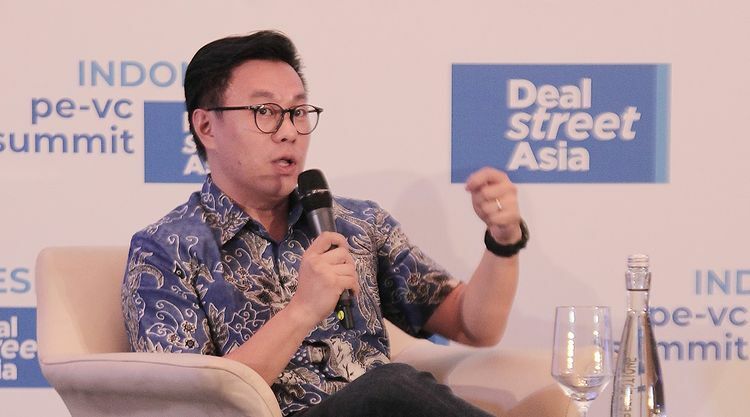 This is what we call new consumption,” Cuaca said during a fireside chat at DEALSTREETASIA’s Indonesia PE-VC Summit 2019 on Thursday in Jakarta. East Ventures, which has launched six funds in the last seven years, was one of the venture capital pioneers in Indonesia, Southeast Asia’s largest economy and the world’s fourth most populous country. The firm claims to have provided seed investment to 70 percent of Indonesian startups that went on to raise Series A funding. You recently said that Indonesia would overtake Singapore in 2019 to become the startup hub of Southeast Asia both in terms of the number of deals and value. Why do you feel so? We have been involved in the startup scene in Indonesia since 2010. In the past nine years, we have seen a lot of investments going into what we call ‘digital infrastructure’. In our opinion, Indonesia is a very efficient market right now to launch a product. And why do you say so? In 2010, when you wanted to build a mobile app and launch a product, you could get hardly get 5000 downloads in a month or two. Today, if you launch a product, within a month, you hit 50,000 downloads. Not only has the market become more efficient but user costs have also come down. Monetisation is very clear. Payments have optimised, considering you have so many e-wallet players such as Traveloka Pay, Go-Pay, and Ovo. So, when you have this efficient market, you can do a lot of stuff, which also means a lot of investment. Of the $2-trillion economy in SEA, the first trillion dollars come from Indonesia. Of the 600 million population in SEA, 40 per cent is from Indonesia. So we think that if you win Indonesia, you are going to win SEA. And that’s the reason we are so bullish. Talking specifically of East Ventures, you have done six funds in the last seven years. Yes, six funds between Southeast Asia and Japan. Fundraising is a full-time business. How do you raise these many funds – you’ve not just raised funds, but have also returned capital to LPs. How do you keep up this pace? To be able to raise more funds, you have to spend more. I listened to the LP panel [at the Indonesia PE-VC Summit 2019] and they said that you need to deploy capital for 3-4 years, let the company mature and then start looking at an exit. Unfortunately, we don’t have that luxury. Every year, we are almost running out of money. So, every two years, we have raised a new fund. We are always too excited to invest. That’s why we keep raising funds. Our funds have always been small in size. Our recent fund size was $30-40 million. The earlier fund was even smaller. When we started in 2010, there were no exits, and no ecosystem either. It was then difficult to rationalise as to how to exit. So that’s why we had small funds so that we can have a quick win, build the ecosystem, create a local hero, return money to the LPs, then raise another fund and have another win. It kind of started the ecosystem. That was our hypothesis in the early days. In 2016, we did two deals a week. How do you maintain a pace of two deals a week? How do you meet so many founders and evaluate the deal? You have to make a decision very fast. So, in a year we talk to about 1,000 founders. We invest in about 20 to 30 new deals. We do another 20-30 follow on (deals). So this way we do things fast. Most of the time I meet founders only once. We limit the first meetings to 45 minutes, and we know within the first 15 minutes whether to invest or not. What do you look for in a founder because when you start at the seed level, there are no revenues, business plans can be very different from what they are later, and the team may have only one or two people. So, how do you decide so early? It’s true that in early-stage investments you do spray and pray. We do the pray part a lot. It’s very difficult to actually spot the [right] founders. It is a people business. It has nothing to do with IT. Most of the founders in our fund come from a technical background. We have what we call technical context. So if a founder says we need to build this app in three months, we say, “No, we can build it in three days since we have the tool kit”. If someone says in Indonesia, “We want to do ABC, in Singapore, we want to do CDE”, then we say, “No, in Indonesia, you cannot do that because in Indonesia we have the cultural context”. So all these contexts come together for us – we create a people hypothesis and we take a decision about whether we want to invest in a startup or not. When we looked at founders in our early days, we actually looked at 3Ps – people, product, and potential market. In 2013-14, we changed it to 2P – people and potential market. The product did not really matter because a good founder will build a good product. And product can change, the founder cannot. You also cannot change the market. So, it’s very important for you to have good people in a very big market. But if you have a very good theme in a very small market, you waste everybody’s time. Just sticking on to people, a lot of your portfolio companies saw co-founders leave…people have fallen out. How can you determine all these factors when you do a seed level investment and only meet the founder or founders briefly? A lot of things change in a company as they grow and raise more capital. So, how do you judge the people factor? Even some of your biggest companies in SEA like Traveloka saw co-founders leave. How do you handle these situations? We came up with another new hypothesis. I studied computer science but after becoming a VC, I think I have become a philosopher. When looking for good people, we look at three things: integrity, high level of self-awareness, how paradoxical he/she is. Integrity is important because when you meet new founders, you have never met them before. There is no track record and reference. You have to be able to judge him/her best on the basis of how he/she appeared in front of you, whether they has come on time, replied to their email promptly, and if they are responsive. People who take care of small details, you can give them big money. If no, it’s difficult. One way to test our founders is by asking them how they call me. I don’t know whether you have noticed that I have double ‘L’ in my name. Many founders miss that ‘L’ and I would tell him, I will sign a term sheet with you, but how would you feel I remove one zero from the money? Then they understand. That’s the integrity part. The second is a high level of self-awareness. People who understand their position in life, understand their weaknesses and strength are good people. If a founder knows his weaknesses, he will hire people smarter than him. People who know their strengthens, will multiply it, focus on it, and enhance it. So the big thing about the founders is not how I see them the very first time. It’s how he/she evolves with a company that starts with 2 people, 10 people to 100 and then 1,000. That quality of changing as a person from the very beginning is very important. So we have to try to spot that from the very beginning. The third one is a bit difficult to explain — paradoxical. Every great founder has contradictory traits. They have a strong vision, see very far away, but very pragmatic, they know what to do tomorrow. They are generalists and know accounting, marketing, product management, and everything, but can go very deep on a subject. They have a very strong heart and are very opinionated but at the same time, they listen. Maybe that’s why you did not reply to my initial emails because I missed the double L.
Jokes apart, when you look at Traveloka and Tokopedia, did you even think these companies would become unicorns? No, absolutely not. At that time, we did not know what one billion is and what a unicorn is. Unicorn is a term that started becoming popular 3-4 years ago only. When we were selling (the idea of) Tokopedia to Japanese investors we introduced them as the Rakuten of Indonesia. In the end, they were actually Alibaba, no, in fact, the Taobao of Indonesia. In the beginning, we picked e-commerce simply because there was no ecosystem. If you noticed, the history of computers, it started from consumer and then came enterprise. Same was the case for Indonesia, where we started from e-commerce. In 2013, we came up with a new hypothesis — SME hypothesis, and we invested a lot in these companies. In 2014, we came up with another new hypothesis called O2O. Looking at the unbankable population and bankable population and somehow everybody said we must consider fintech. And suddenly we have a lot of fintech companies. We look at the problem from the ground up and not top down. When you started, you made a lot of small investments. As a VC, when you made these really small investments and when companies grow to become really big to do Series A, B, and C, you get really diluted down. In terms of home runs, after dilution, there is not much left. Are you happy with real quick exits? Or do you like staying for some more time? Percentage is one thing and price per share is another. It’s okay to dilute as long as the valuation is up. Is that why you are doing EV growth fund? So that you can double down on these companies in the Series A stage. No. It is not the reason. We are doing EV growth fund because I am not good at numbers. I talk to people, judge them and become a judgmental person [laughs]. EV growth is a joint venture between Sinar Mas, East Ventures and Yahoo Japan. Because Sinar Mas and Yahoo Japan are going to crunch the numbers, that’s why we did it. If we looked back years ago, i.e in 2013-14, before we decided to raise the $150 million EV Growth Fund. At that time, people liked to raise between $80-100 million. We actually got confused as to how we are going to return money to the LPs. If you raise a $100-million fund too early and if you want to return 5x [to the LPs], you have to make $500 million. In order for you to make $500 million, you must own 25 per cent in two unicorns. If you do this reverse calculation, it’s so hard to catch a unicorn. Until now we have no idea how a startup becomes a unicorn. I have no idea until today how those people with $100-million funds have returned money to their LPs. Going by the statistics, 70 percent of Indonesian startups that have raised Series A funding were seeded by us. I think we are confident now to cut slightly bigger checks. But if it comes to doing bigger checks, how do you convince Sinar Mas and Yahoo Japan to invest at your pace? I am not convincing them, they have to convince us to slow down. We have been doing exactly the same as we did with the seed fund. EV growth started officially in May last year and in six months we have a large portfolio. It’s quite an interesting journey. You are set out to raise $150 million. There’s a lot of LP interest in raising a lot more. What size do you see it eventually becoming? We don’t know yet. We haven’t closed the fund yet. It looks like we are sector-agnostic, but we are thematic. So we tested e-commerce in the early days. At one point, Tokopedia wasted a lot of money, so we decided we will not invest in e-commerce. So when everybody jumped onto e-commerce, we left e-commerce. We moved into SaaS, then when everybody moved to SaaS, we did O2O. So we have been trying things ahead of the time. Investing in early-stage companies is like surfing in the sea. The timing has to be just right. If you are ahead of the wave, you can’t catch the wave, if you are behind, you can only see the wave. If you see the trend in Indonesia, it has become too late for the early stage guys. It’s important for early stage guys to catch the movement before it becomes a trend. When you start investing very early, founders also need a lot of hand-holding and help. You have such a large portfolio. How do you even get to meet all of them and extend help? Frankly speaking, we don’t help them. We are very different from other VCs. Many VCs add value by mentoring, etc. We don’t believe in that. We believe that if you are an entrepreneur, you should know the basics of business administration. If you are a first-time founder and have never run a company, we believe that you should be able to pick up skills very fast. In order for us to manage a huge portfolio, we came up with another hypothesis. You must be able to differentiate between vision, strategy, and tactics. You have to align the vision to solve the big problem. Coming to strategy, we advise on the strategy, but we will not advise at the tactical level. So we agree that you need to go over there but whether you turn left or right, it’s up to you. We will teach you what you should avoid, and not what you should do. Because if we teach him what to do, you will be limited to my limits. I am 10, and if I teach the person something, he will be 9 or 9.5. But if we teach him not to make mistake, he can fly to the sky. We are a big believer in cohesiveness. We believe that you are an average of five persons closest to you. So most people in our portfolio companies have similar personality traits – they are humble and down-to-earth and these people can actually bond together and help each other. In fact, most of the time we invest by reference. There are two unique factors in Indonesia. There are a lot of CVCs, and a lot of unicorns have started buying companies. How does that impact the larger VC ecosystem in Indonesia? [I believe that] Everything is good. So you just adapt and make good use of it. There are two types of CVCs — there are very traditional companies that feel that they have to own everything and control the vision of the company. Then there are CVCs that are really open, and very progressive in thinking. They talk about commercial first, strategic second. Those are the people that we work very closely with. Unicorns are good for the ecosystem. Our large exit did not come from either Tokopedia or Traveloka. It came from Kudo when Grab acquired it in the largest deal in SEA. The Kudo deal alone returned two of our funds. It’s good for the ecosystem engine. You said earlier your investments are based around themes. So what is the theme for 2019? We believe in the new hypothesis that we call ‘new consumption’. A lot of digital infrastructure has been built. Payments have been optimised, delivery, outreach and customer efficiency have been optimised. You can put a lot of stuff on top of it. We launched a coffee company based on the online model in China. It is called Fore. We started less than six months ago. As of today, we are present in top app stores. We are in there in all major shopping marts, do a lot of delivery, and we are testing our hypothesis. This is what we call new consumption. This term has come up as we think there’s a new way for you to engage with the new millennial, with a new brand. Next week, we are going to launch another product related to new consumption. Very few VCs do media investments. What made you do media investments? We have three media investments. It was based on the same hypothesis of solving a problem. One company that we have invested in is similar to yours. The second is IDNtimes.com, a millennial news portal and the third investment is in Katadata, a news portal focused on quantitative data. For the millennials, consumption of media is totally different now, so we created a new hypothesis for it. We need more exposure. Nobody knew what was going on in Indonesia in 2009-2010. What excites you about Indonesia in 2019, any specific sectors or companies, new innovations? There are too many things going on in the country. Will you stick to Indonesia or do you see yourself going out and doing investments in other places? So far we focus a lot on Indonesia. It seems like Vietnam is getting interesting. When I talk to some Vietnamese people, I feel like they are in our 2003-2004. It’s still very fresh in our mind, as to what is going on out there.